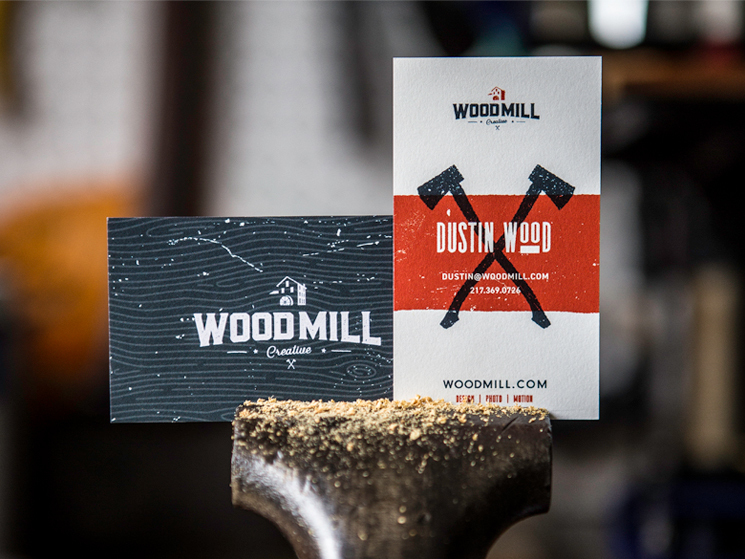 Dustin Wood designed these self-promotional business cards for WoodMill, a creative agency owned by him that based in Indianapolis, Indiana. “As a freelancer, I’ve never really liked just going by my name alone. I can do so much more. From print design to web design to video and motion graphics and to photography. To represent a whole service of products I can offer, I created WoodMill – a shop that creates everything.” Dustin said. Dustin’s business cards not only look good but highly functional! People will remember his name and the creativity he possessed. “Originally, all I wanted on the card was my name, phone, email, and web address. But realized that some may mistake me for an actual woodworking company, so I included three areas of focus on the bottom of the card (Design, Photo, Motion).” Dustin added. When it comes to printing, Dustin chose Moo for the job. “These business cards were printed on Moo’s 32pt, triple layer uncoated Luxe cardstock – great texture and feel to them. The next round of printing though, I’ll be looking into getting the woodgrain pressed into the back of the card.” We can’t wait to see that!